Do you remember receiving a fat letter in April 1961, fearful that a skinny one would arrive first? It carried the Hanover postmark, and it opened a door to wonderful friends and learning with its invitation to travel to Hanover. and lasting friendships made at all hours of the day and night. This June 13-16, 2005, we have the special moment to rekindle our Dartmouth experience. As we share the collective wisdoms of our past, we can focus on the future with old and new friends. No doubt, the trek to Hanover will prove worthy of your time. We can guarantee that it will be easier to get to Hanover in June ’05 than it was in September ’61. And the cost of this segment of our Dartmouth education will be far less than the thousands someone paid forty years ago. Everyone is busy, but let’s keep our priorities in proper order. Friendships and education are important, and require special attention. You owe it to yourself -- and your classmates -- to be Still On The Road towards both. The latest information is always available on our Still On The Road reunion Web site (www.sotr.net). If you have not yet sent in your registration form (enclosed), now is the time. The current listing of attendees and event schedule are also enclosed. If you need another copy of the College’s Housing application form, please call 603.646.3288 to request one. Additionally, please note that Dartmouth merchandise is available on the Dartmouth Co-Op Web site (http://content.dartmouthcoop.com/65shop.html). Remember, all Class of 1965 registration payments are 100% refundable if cancelled by May 31st. This should make it easy to sign up now. And your prompt registration will help us plan the food and beverage requirements. The Reunion Committee is a stellar group of your peers, and they have arranged an uncommon few days of relaxed camaraderie. Rain or shine, Hanover will be at its best. 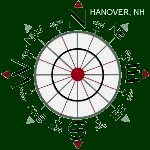 June 13-16, you will be Still On The Road to the Hanover Plain. You need to be in Hanover in June.